Com. 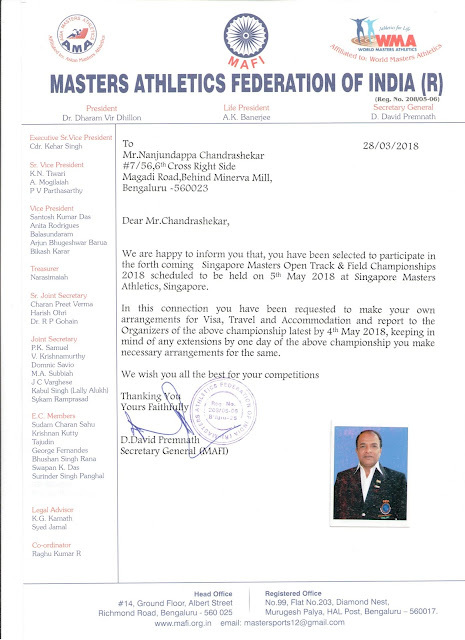 N. Chandrashekhar, Ex-Organising Secretary P3 CHQ has been selected for Singapore Masters Open Track & Field Championships 2018 scheduled to held on 05th May 2018 at Singapore. P3 CHQ conveys its Best wishes for his success.